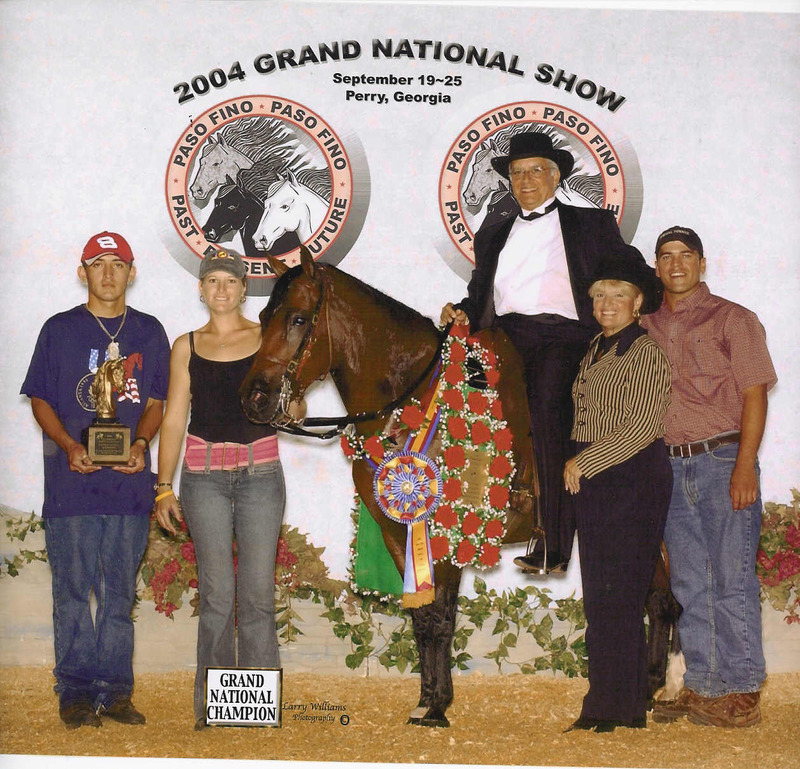 At the 2007 Nationals, "Millie" won Grand National Champion and National Champion Bellas Formas Mares for the 4th time and won Grand National and National Classic Fino mares for the second time. Beautiful mare with low action, great disposition, and quickness. Sire was 1998 Grand National Champion Fino Stallion and a son of Capuchino and a Monarca (Contrapunto) Mare. Sonajero achieved his Fuero de Concurso title in Puerto Rico after winning the Ponce International Classic Fino Championship in 12/00. Sonajero died of colic in Colombia 9/2004. Dam is double Contrapunto and very FINO! 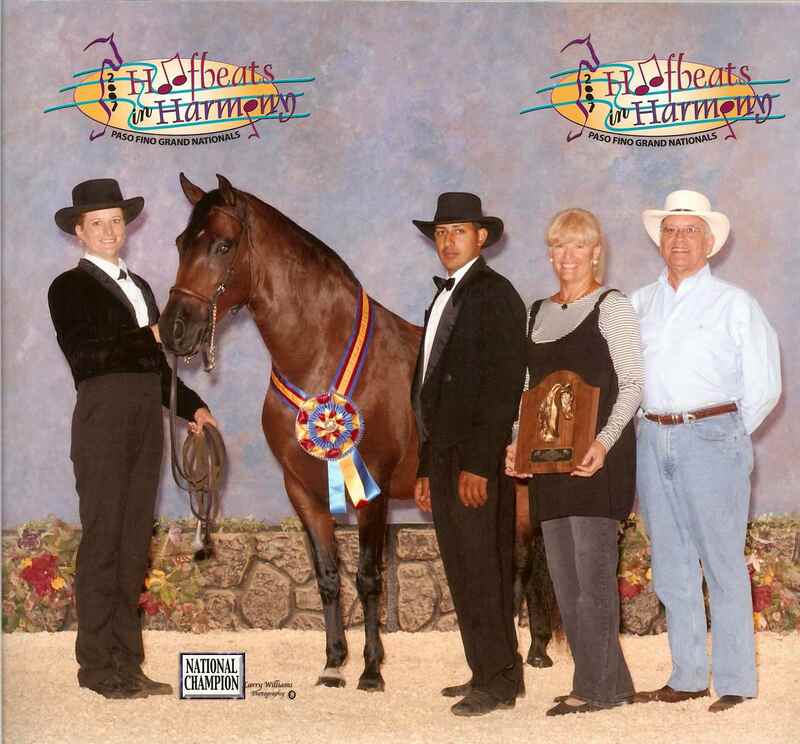 2002: PFHA Third National Champion Classic Fino Amateur Owner 3 YO Schooling Filly; PFHA Honorable Mention Grand Champion Classic Fino Amateur Owner Fillies and Mares; SRPFHA December Snowbird Classic Champion Bellas Formas Mare. 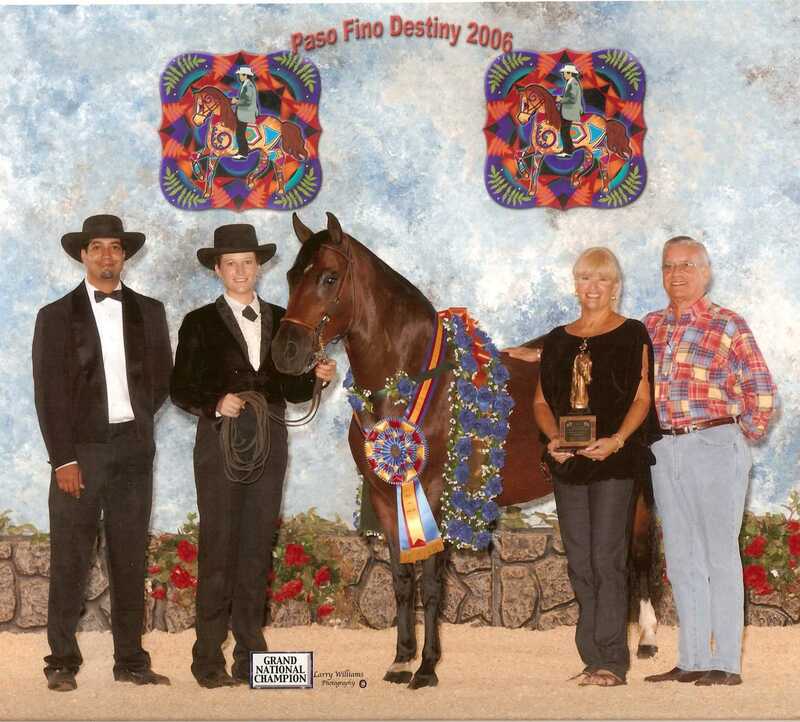 2003: SRPFHA February Fiesta Reserve Champion Fino Mares and Fillies; SRPFHA February Fiesta Champion Bellas Formas Mare; FRPFHA Spectrum Champion Bellas Formas Mare; 1st A/O 4 Y/O Fino Schooling Filly; PFHA Grand National Champion Bellas Formas Mare; PFHA National Champion Bellas Formas Mare; PFHA National Champion A/O Classic Fino Schooling Filly; PFHA Reserve National Champion 4 Y/O Classic Fino Filly. 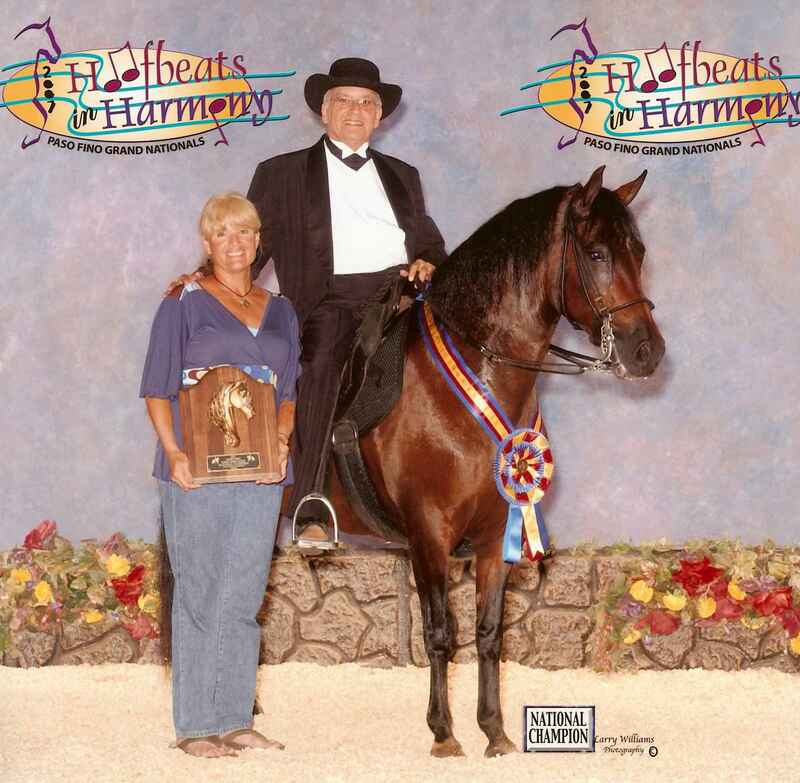 2004: PFHA Grand National Champion Classic Fino A/O Fino Mare; National Champion Classic Fino A/O Mare; PFHA Reserve Grand National Bellas Formas Mare; PFHA Reserve National Champion Bellas Formas Mare. 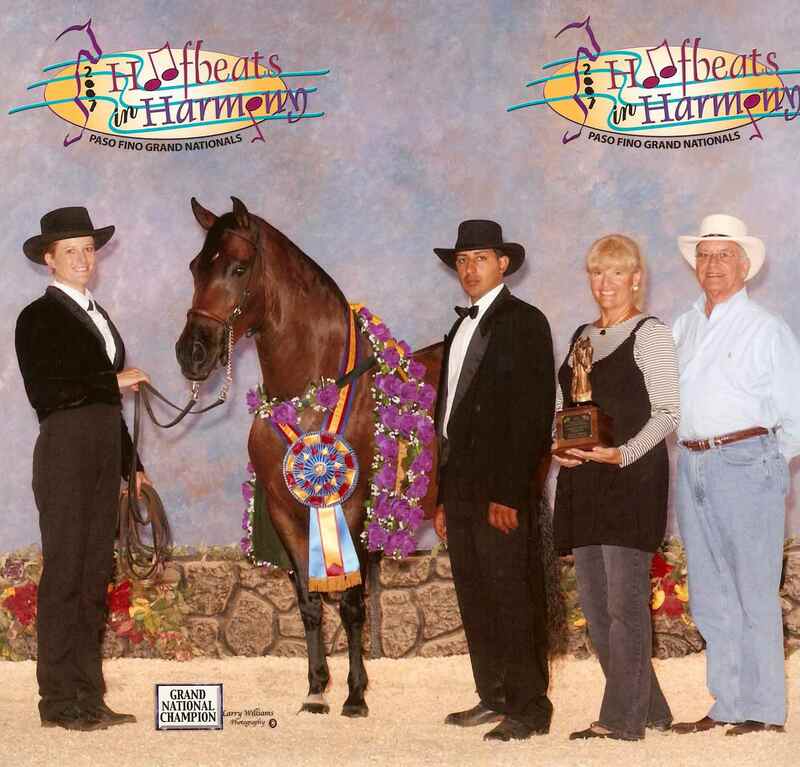 SRPFHA 1st Place Bellas Formas Mare; Champion Bellas Formas Mare. 4th A/O Classic Fino Mare. 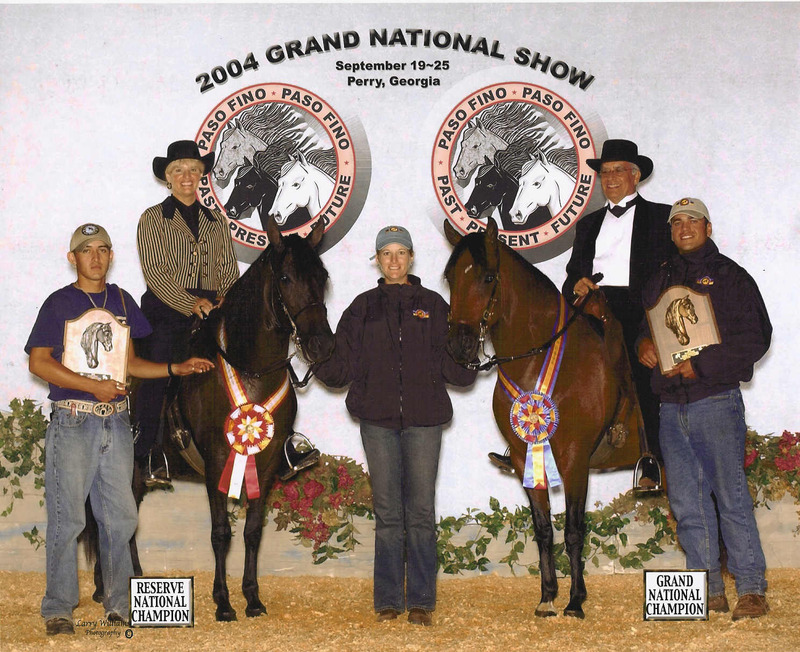 2005: PFHA Grand National Champion Bellas Formas Mare; PFHA National Champion Bellas Formas Mare; PFHA 4th National Champion Classic Fino A/O Mare, PFHA Honorable Mention Classic Fino A/O Mare Championship. 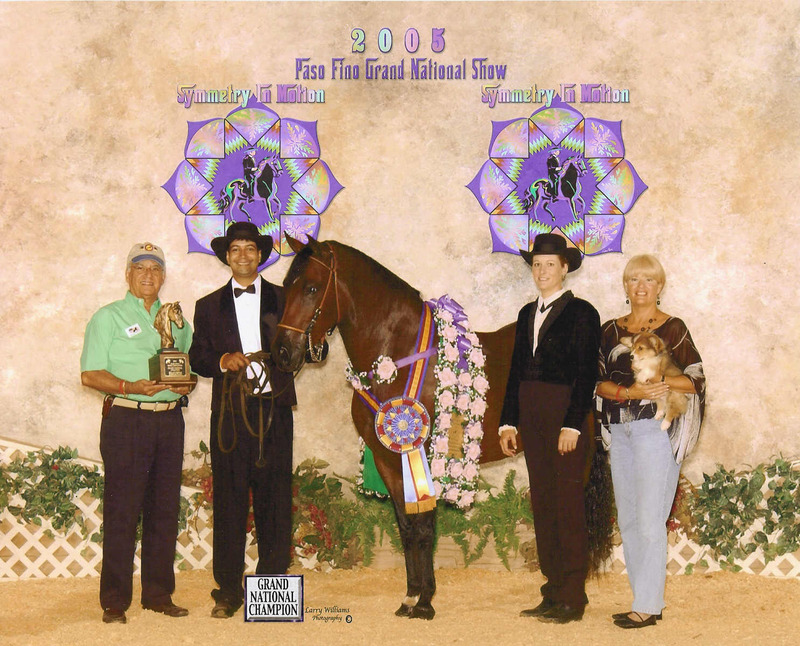 2006: PFHA Grand National Champion Bellas Formas Mare; PFHA National Champion Bellas Formas Mare. 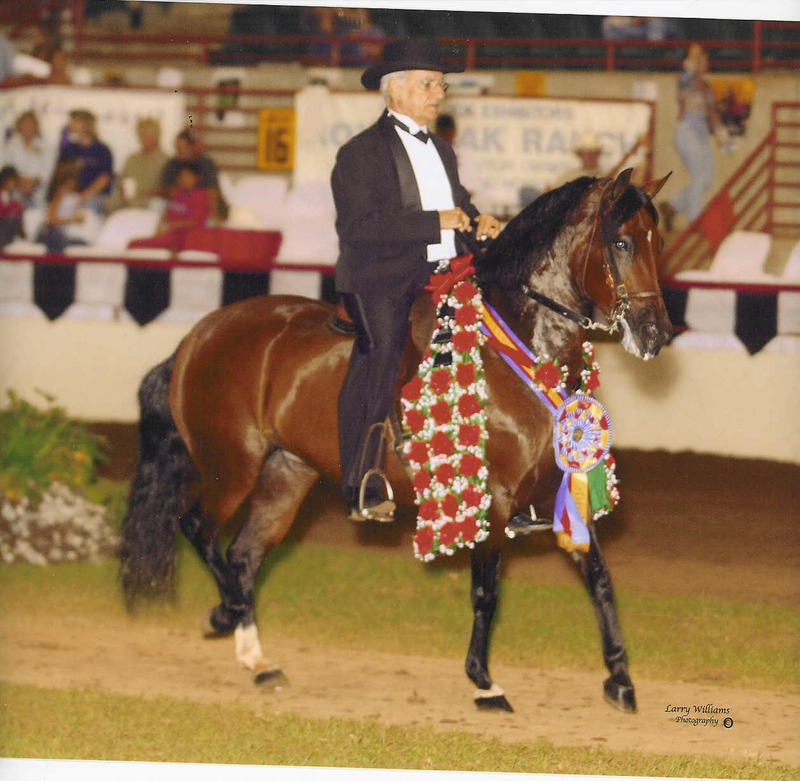 2007: 2007 Confepaso World Cup (Mundial) World Grand Champion Bellas Formas Mare; 2007 Confepaso (Mundial) World 1st Place Bellas Formas Mare 77 months and older; 2007 PFHA Grand National Champion Classic Fino A/O Mare; 2007 PFHA National Champion Classic Fino A/O Mare; 2007 Confepaso (Mundial) 3rd World Champion A/O Fino Mares 77 months and older; 2007 PFHA Grand National Champion Bellas Formas Mare; 2007 PFHA National Champion Bellas Formas Mare; FRPFHA 2007 Spectrum Champion Bellas Formas Mare (FOR THE 5TH TIME! ); FRPFHA 2007 Spectrum 1st Place Bellas Formas Mare; FRPFHA 2007 Spectrum Champion A/O Classic Fino Mare; FRPFHA 2007 Spectrum 1st Place A/O Classic Fino Mare. Bred to Arco Iris de Capuchino for embryo transfer - had bay colt 3/05. Bred to El Imponente de LaLibertad for embryo transfer foal - had liver chestnut filly 5/2005. Bred to El Aprendiz de Colores for embryo transfer foal due 5/2009. Breeding to Sublime de Doña Lola for in utero foal due 2012.